Because of Indian laws, the battle between Flipkart and Amazon (and Alibaba via Paytm) is a battle of marketplaces. The Indian government forbids foreign direct investment in retailers that sell directly to consumers; therefore Amazon (by virtue of being owned by Amazon, a U.S. company) and Flipkart (by virtue of having multiple non-Indian investors) are forbidden from being retailers at all. Rather, both have a model akin to the Amazon marketplace model here in the U.S.: each provides a platform for 3rd-party sellers to sell to end users while taking care of everything else (the Indian government considers this sort of model a business-to-business one between sellers and the marketplaces, as opposed to the direct business-to-consumer model that can’t take foreign investment). It should be noted that doesn’t completely describe the situation: both Flipkart and Amazon have affiliated companies that, through various corporate structures and investments, get around the ban of foreign direct investment in order to sell to consumers via the Flipkart and Amazon platforms (WS Retail for Flipkart, and Cloudtail India for Amazon). The Indian government has cracked down on those too, though, restricting any one seller to 25% of an online marketplaces overall business (the most immediate effect was to force both WS Retail and Cloudtail to reduce the number of smartphones sold, which are a very popular online purchase with outsized gross merchandize value; Flipkart in particular has been criticized for focusing too much on selling smartphones because of its impact on gross merchandize value to the detriment of the rest of the business). That new regulation, though, combined with the general limitation on direct sales, means that Amazon and Flipkart are basically forced into a pure aggregation model without the luxury of laddering up from a more traditional retailer model like Amazon did originally. In the past seven years, online companies from India have raised $16 billion of foreign venture capital. 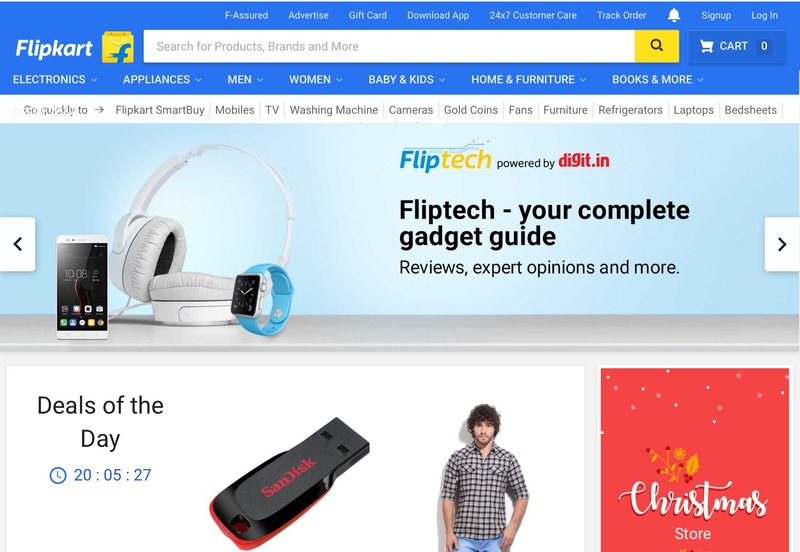 Flipkart alone attracted $3.2 billion. Foreign capital has fuelled India’s e-commerce economy. The number of startups founded by former employees of Flipkart is 124, according to startup database Tracxn. Similarly, its fashion subsidiary Myntra has spawned 36 startups. The number of startups funded by Flipkart’s founders is at least 20, including Tracxn itself. Flipkart has created the technology environment for these 180-odd entrepreneurs. But none of this would have happened without foreign capital, and the global exposure that the journey involves. Weighed against this backdrop, Sachin Bansal’s remarks at the Carnegie Tech India Summit in Bengaluru earlier this month urging the government to design policies that favour homegrown companies caused a flutter. “What we need to do is what China did (15 years ago) and tell the world we need your capital, but we don’t need your companies. We cannot be cut off from the world as China has, but we need to start thinking about selfreliance,” he said.